Toledo Bend Villa At Bailey Bluff. Located at Cypress Bend Resort, Many LA. This beautiful waterfront Villa on Toledo Bend is the perfect place for your next vacation! Toledo Bend Villa is located in exclusive Bailey Bluff Development. Cypress Bend Golf Course, next door, offers 18 holes of world-class golfing, a pro shop, fine restaurant, lounge, ballroom and meeting rooms, health club and sauna. Whether you spend a weekend or longer in this special waterfront home, it will be a vacation that you will never forget. The finest of accommodations on Toledo Bend Lake available by reservation for you and your party. Truly enjoy your time at the lake in Toledo Bend Villa - resting on a wooded bluff overlooking the lake. While somewhat secluded, just steps into the woodland, you will be, literally, only a 'drive' away from world class golf, a 'cast' away from fine fishing, and a leisurely stroll from fine dining or the Day Spa - with the privacy and comforts of a home with beautiful landscaping, crystal clear private swimming pool, and a lovely gazebo-on-the-water for relaxing or fishing. The Villa has an unbelievable, million dollar view of Toledo Bend from almost every room in the house. It has one of the best locations of any lake house in the state of Louisiana. The lake house has 4 bedrooms, 4 baths, 2 living areas, and can comfortably sleep up to 8 people in beds, or 12 with comfortable Futons. Toledo Bend Villa is an immaculate home in like-new condition with many upgrades and extra quality features throughout including: quality furnishings and decorations, exquisite hardwood flooring throughout the great room, granite countertops in the kitchen and bathrooms, beautiful furniture, gas fireplace, 52” flat screen TV with HD Direct TV and more. The living area definitely has the 'Wow' factor! Luxurious furnishings include soft and comfortable sofas and oversized chairs, a sectional sofa and a stylish game table. Additional seating is provided at the bar and dining area. The kitchen and seating at the counter also have a great view of the lake. Sit on the porch or balcony and watch the exciting activity on the lake. You will be living the life of luxury in this beautiful Villa! After a fun day on the lake, guests love to relax in the comfy, beautiful living room with its spectacular view of the lake. Wall to wall windows take advantage of the view, and double doors provide access to the deck overlooking the lake. The modern, attractive kitchen makes meal preparation easy and fun! The large granite bar with 3 stools provides extra seating. The kitchen has granite counter tops, decorative stone back-splash, and pendant lights over the counter. The appliances are all top-of-the-line. There are double ovens, one smaller for quicker cooking, stainless steel refrigerator with ice and water in the door, dishwasher, and a microwave oven. The kitchen has everything you need for making snacks and complete meals while you are at the lake. All you need to bring are your food and drinks. Guests enjoy the fantastic lake view while dining at the antique table. The table provides seating for 8. The master bedroom suite on the first floor with its style and grace reminds guests of a beautiful 5 star hotel. Beautiful bed linens and a comfortable king-sized mattress insure a restfull night's sleep. A flat-screen TV with satellite TV provide entertainment . A comfortable seating area with a lake view with large windows provides a dramatic view of the lake. The large master closet also includes a washer and dryer for your use. The very spacious, beautifully carpeted master bath has his and hers sinks, a large cast iron soaking tub and shower. The second bedroom on the first floor, has a king sized bed and a dresser. This bedroom has an adjoining bath with stone shower. The bath has a granite counter top and carpeted floor. The third bedroom upstairs also has a queen-sized bed and a chest of drawers. A flat screen TV and Direct TV is provided . There is a view of the lake through the side window. The bath has a granite counter top and carpeted floor. The fourth bedroom is decorated with antique armor with a full–sized bed. There is a bathroom with shower. The bath has a granite counter top and carpeted floors. The downstairs second living area, has two futons for additional bedding if needed. All of the bedrooms have ceiling fans. The best location on the lake... convenient to shopping and banking in Toledo Town, just up the road, or nearby Many, Louisiana and adjoining beautiful Cypress Bend Golf Resort and Convention Center so you are only a '9-iron away' from golf and fine dining facilities. 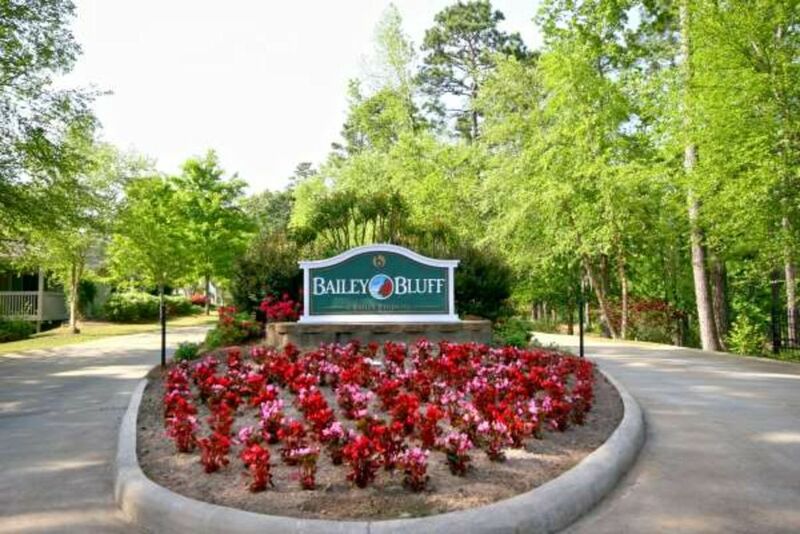 With Toledo Bend Villa you have access to a beautiful botanical garden, located at the entrance to Bailey Bluff. Visitors will find a respite where they may stroll and enjoy the garden or sit quietly and watch the multitudes of butterflies visiting the flowers. Live in Lafayette, La. Enjoying the Cajun Culture. Entrepreneur with a passion for small business. Sharing our vacation home a few times a year to offset the cost of fun. Great location in Louisiana. Easy trip from Lafayette. Toledo Bend Lake is a great fishing and recreational lake. The Villa is located at Cypress Bend Resort. The resort offers a great Golf Course and pro shop. Great on-site fine or casual dining. The Villa has unmatched lake views from the great room and bedrooms. Very nice luxury decor through out the villa. View more about Don Pippin, Jr.
Large Deck facing the lake with unobstructed views. Yes Private for the sixteen Villas in the development. GREAT RELAXING RESORT RENTAL - A MUST BOOK LOCATION!! Words cannot express the beautiful scenery of this location overlooking the lake. It is a MUST SEE to appreciate the beauty. We booked this location for Christmas of 2018. The entire process was very friendly, easy and extremely accommodating. We communicated with the owner a couple of times about little details that we were not sure of and he was EXTREMELY responsive and answered all of our questions on a timely basis. The home was clean and well maintained. We will definitely be back. We would recommend this resort rental to anyone looking to get away from the everyday city life. It is EXTREMELY PEACEFUL. The finest view and home on Toledo Bend we lacked for nothing. We all were sad we had to leave. The view of Toledo Bend Lake was beautiful! My family and I first trip there! We thoroughly enjoyed spending time together in Villa #1 and swimming in the pool not far away. The food at the Cypress hotel was great too! I highly recommend Villa #1 for you and your family to enjoy! We will go back asap! God Bless! Landon & Family! The panoramic views and great room make the place. It fit us perfect and Don was very accommodating if I had any questions. Probably best location in the area to be quite honest. It was great and I highly recommend it. Amazing views to last a lifetime!!! Spent our 21st Wedding Anniversary at Villa one. Amazing views, beautiful interior and very peaceful. Walked and prayed in the prayer garden beside the villa. Perfect trip! House was perfect for our large family! Owner responded to every request. Words can’t deacribe the view. We had a fantastic time. It was so nice to have the pool, golf course and trails available to us while staying in this fabulous home. We will be going back! Check it out you want be disappointed!